Viet Nam’s fifth typhoon this year has killed three on the central coast, destroyed long sections of sea dikes and sunk dozens of fishing vessels. 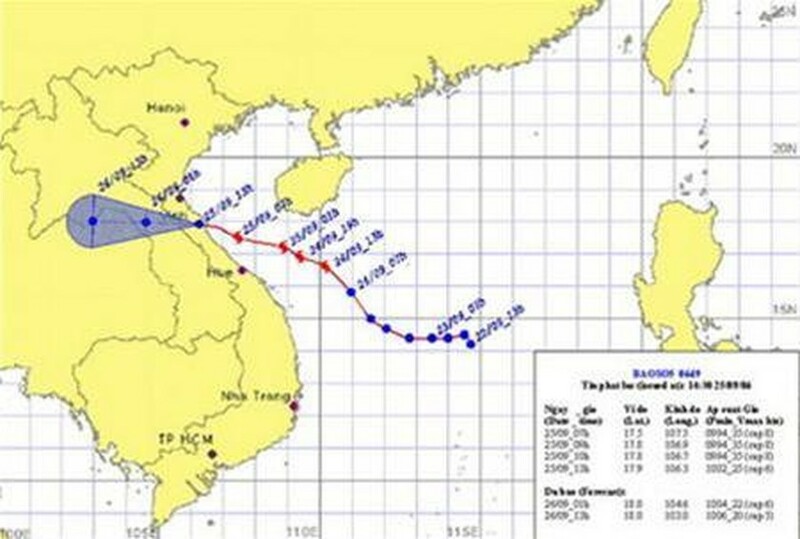 By Monday the typhoon had weakened to a tropical low heading for Ha Tinh and Quang Binh in the central region. The weather bureau says 300 millimeters of rain fell on the city of Da Nang and 100 to 200 millimeters in Ha Tinh and Binh Dinh. The tropical low is forecast to bring more strong winds and heavy rain to Thanh Hoa and Ha Tinh. Also in Ha Tinh, floodwaters washed away a 13-year-old student on Monday – the first of the reported deaths. In nearby Nghe An, five out of six crewmembers of a fishing boat were rescued after being washed overboard. The body of the sixth was recovered. In Quang Binh, the flooding destroyed hundreds of hectares of crops ripe for harvest and submerged 30 homes. Some schools in the province were so deep in water that the children were given several days off. On Monday evening, the authorities of Quang Tri province tallied up the massive damage in their region. A tenth grader who went missing in Quang Tri turned up dead after the Ben Hai River swept him away as he was collecting firewood early on Monday. The torrential rain submerged hundreds of hectares of paddy and vegetables and damaged five irrigation systems in Cam Lo District, causing losses of up to VND4 billion. Although it missed the full brunt of the storm, the city of Hue sustained extensive damage. Strong winds unroofed 18 houses and the rain inundated most of the roads and thousands of hectares of crops. Fish farmers in the area lost 60,000 shrimps and more than 4.5 tons of other fish – a direct loss of up to VND4.5 billion. On Monday the Steering Committee for Storm and Flood Prevention ordered local-level authorities to keep close tabs on the situation and be prepared to act. Border guards and emergency crews were given responsibility for maintaining ship-to-shore communications and assisting fishing ships in finding shelter from the rough seas. Down south, unbroken rain for several days has swollen the Tien and Hau Rivers, the two main arms of the Mekong Delta. Their levels are forecast to keep rising for five more days. Some roads in the Mekong Delta provinces of Dong Thap, An Giang were underwater, forcing villagers to get around by boat. 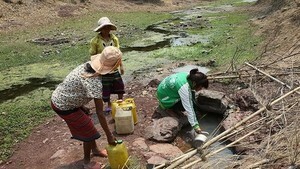 In Dong Thap, gale-force winds and repeated rains destroyed 58 homes and unroofed 23. Five children and one adult are dead because of the floods, the local rescue team said yesterday.